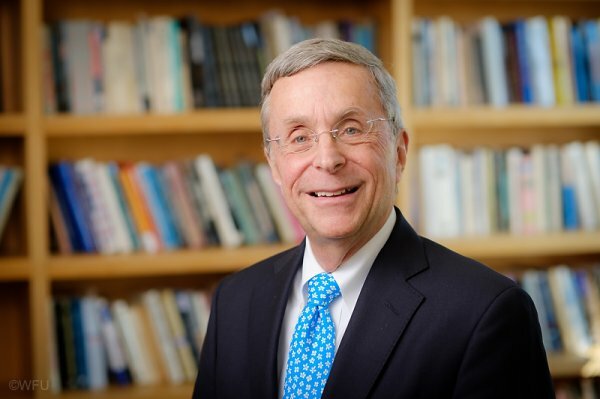 Sidney Shapiro is an internationally recognized expert on administrative law and regulatory policy who focuses his research on health, safety, and the environment. Shapiro has written and consulted on a vast range of topics relating to public law and regulatory issues, including matters related to e coli and salmonella outbreaks in the food system, natural disaster and crisis management, safety recalls, and occupational health and safety. In 2010, Shapiro emerged as a regulatory pundit in the wake of the Toyota Vehicle Recall and the Deep Water Horizon Oil Spill. He went on to testify in front of a congressional committee investigating the spill, where he explained that certain industries, including oil and mining, had effectively “captured” portions of federal regulatory agencies, which subsequently weakened health and safety protections for the American public. Much of his recent scholarship is concerned with administering and regulating new and emerging policies related to the environment and the development of green economies. 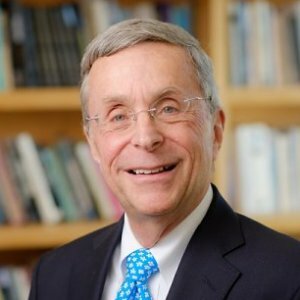 Prior to teaching, Shapiro was a deputy legal counsel for the U.S. Department of Health, Education, and Welfare’s Secretary Review Panel on New Drug Regulation. He also has notable experience with the Federal Trade Commission as a trial attorney. The DOL has the third largest administrative law judge office in the federal government, with some 41 judges. The goal is to provide a neutral space to resolve labor-related disputes. The DOL’s change is in line with Trump’s order, but it still presents some potential legal problems, according to Sidney Shapiro, the Frank U. Fletcher Chair of Administrative Law at Wake Forest University. Special Report: Should Coal Country Roll Back State Laws and Rely on Feds? That backstop may be narrowed with the Trump administration’s push to slash agency budgets, including the Labor Department. The deep cuts could negatively affect the Mine Safety and Health Administration, a Labor Department unit that inspects all U.S. coal mines to enforce federal safety and health rules. The president has also yet to name a head for the agency, adding uncertainty to the federal government’s future role in mine safety. “If he’s really for the miners, which seem to be in his constituency, then he would be for active regulation,” Sidney Shapiro, a Wake Forest School of Law professor, said. "Courts have never really said one way or another because they've managed to avoid the constitutional question by sort of torturing the criteria for FACA that allows them to avoid the ultimate question," Wake Forest University law professor Sidney Shapiro said. In 1989, for instance, the Supreme Court ruled that American Bar Association panels reviewing potential judicial nominees are beyond the reach of FACA. The Clean Power Plan, along with the wetlands rule known as Waters of the United States, are in the first category. “That makes them the hardest to undo,” says Stuart Shapiro, a public-policy professor at Rutgers University who was a regulatory official under Presidents Bill Clinton and George W. Bush. The reason: They have been around long enough to be immune from the Congressional Review Act (CRA), a law that Republicans passed 20 years ago that gives Congress 60 legislative days to override agencies’ actions without burdening the Senate with the need to round up 60 votes to do so, as is the case with almost all other legislation. In the industry, these farms are known as Concentrated Animal Feeding Operations, or CAFOs, but nobody with a nose passing within a few miles of one would say that food is the thing in large concentrations. Torrential rainfall and floodwaters from Florence caused dozens of lagoons to overflow, releasing a toxic stew of contaminants harmful to human and ecological health, including E. coli and other bacteria. The residents of the surrounding communities put most directly at risk are disproportionately poor or people of color. These communities have long suffered from neighboring CAFOs’ woefully antiquated waste disposal practices. To start rolling the boulder up the hill, we suggest that environmental and social advocates find ways to work together, thus bolstering political support for needed policies. We contend that this collaboration should be possible because both types of advocates support a common purpose: giving Americans a fair chance in the race of life by considering the fate of people losing jobs, whatever the cause. A green economy will generate thousands of new jobs—many more than will be lost to regulations on carbon pollution. But a green economy may also increase wealth inequality in some parts of the United States because people who lose jobs to carbon controls are not the same as those who will get them when the green economy blooms. Scott Pruitt’s Environmental Protection Agency (EPA) has proposed a rule it claims is related to science transparency. But in a particularly Orwellian twist, it turns out Pruitt is using a claim of “transparency” as a way to obscure his ideological opposition to environmental protection. The new rule would bar EPA from using in its regulatory process any scientific study for which the underlying data is not completely available to the public, and it anticipates the agency would have to redo any past rules that used scientific studies for which these data were not available. Environmental advocates have rebutted the “job-killing regulation” manta of regulatory critics with evidence showing government regulation produces as many or more new jobs than the jobs that are lost. Many of the workers who lose their jobs, however, are unlikely to transfer to the new jobs generated by regulation. Early environmental advocates were concerned about such distributional effects, and we argue that environmentalists should again focus on these impacts. Our essay offers a vision of how both the regulatory and welfare states focus on a common purpose of social resiliency, which refers to a populations’ capacity to survive, adapt, and grow in the face of misfortunate and change. The goal of regulation, according to this concept, is to protect people from environmental risks, a protection that builds social resilience.